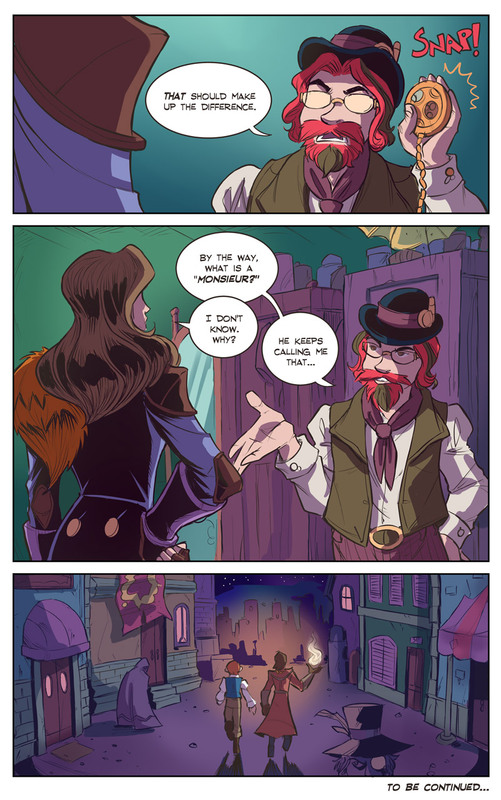 The last page of Chapter 12 of the Shadowbinders comic! Chapter 13 will put Rhen and Mia back together, and they’ll… oh, just you wait. So, there’s someone lurking around Belatyr who speaks French. But who could it be? Any guesses…? Colors for this page provided by Veronica Murrell. AHHH YEAH AN UPDATE! and the end of a chapter!